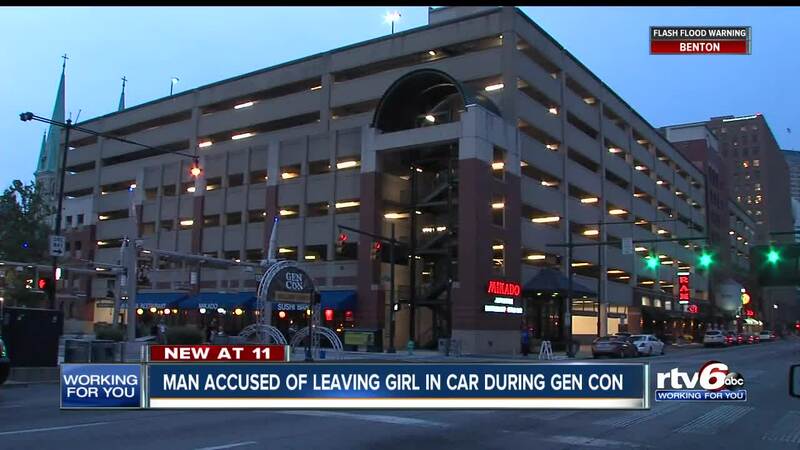 INDIANAPOLIS -- A man was arrested after police say he left his 10-year-old daughter in the car while he played games at Gen Con, according to reports obtained by Call 6 Investigates. Raymond Henderson, 43, of Roanoke, Texas, was arrested early Sunday morning after a woman contacted police because she spotted a child inside a vehicle in a parking garage in the 100 block of South Illinois Street around 6:00 a.m., the reports say. Police found Henderson's 10-year-old daughter asleep in the car, according to the report. Officers say Henderson was at the gaming convention playing games and allowed his daughter to sleep in the vehicle, which was not running. Henderson was preliminarily charged with neglect of a dependent.